SINGAPORE.- Pop and Contemporary Fine Art brings to our little red dot The Dots Within, an exhibition celebrating the artwork of Japans most premier and notable avant-garde artist, Yayoi Kusama, the princess of polka dots. The Dots Within features a selection of artwork that will encompass a myriad of Kusama's work in different media which will include canvas work, print work, ceramic work, mixed media work and watercolour work. 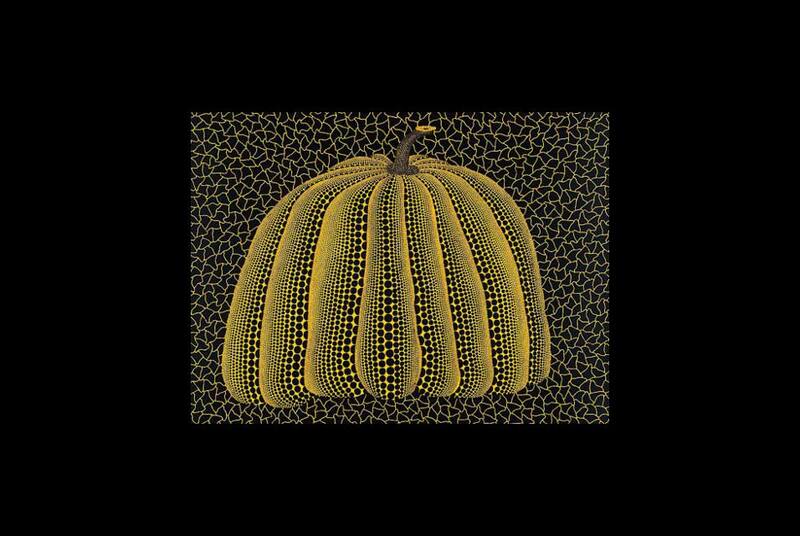 Featuring works from the 1970s to 2010 we hope to give a glimpse into Yayoi Kusamas sheer genius as an artist. Print work is something that is very important to Yayoi as repetition is an integral part of her artwork. Print work gives the artist the ability to interact and engage with a much wider audience and also gives a collector the opportunity to show the progression of an artist from the beginning to the end of their career. For this reason we will also show a wide variety of print work at the exhibition. and thus the cycle continues into infinity. Yayoi Kusama was born in Matsumoto-shi, Nagano-Ken, Japan in 1929. Her art has been described as containing attributes of feminism, minimalism, abstract expressionism and pop art. Her work reflects childhood hallucinations and has been an attempt to exorcise those demons. Early in Kusama's career, she began covering surfaces (walls, floors, canvases, and later, household objects and naked assistants) with the polka dots that would become a trademark of her work. In 1973, she voluntarily committed herself to a psychiatric hospital in Tokyo where she continues to live, by choice, while commuting to her Tokyo studio which is a short distance away. Kusama is often quoted as saying: "If it were not for art, I would have killed myself a long time ago". Among her numerous awards, Yayoi Kusama is distinguished as being the first Japanese woman to receive The Praemium Imperiale, one of Japans most prestigious prizes for internationally recognized artists. Yayoi Kusama currently has a major, global retrospect exhibition in the Reina Sofia Museum in Madrid which will later go on to the Pompidou Centre in Paris, the Tate Modern in London and the Whitney Museum in New York.